Leading public sector bank State Bank of India recently launched SBI buddy app, An app which allows the customers not only to transfer money into another accounts or wallets but also enables them to do other activities such as ticket booking, shopping or for hotel accommodation.SBI always launches such innovative products and services for the convenience of customers.SBI Buddy app can be used anywhere at any time, This app is free to use. This new mobile wallet is launched by SBI in alliance with Accenture and MasterCard. As it is a newly launched app, customers might be having several doubts and queries. So state bank of India resolves all the issues related to the app through State bank Buddy customer care number. 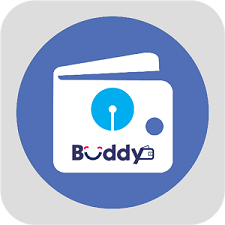 The SBI buddy app is launched to counter other wallets like Airtel Money, Paytm etc. Just like other wallets you need to add money to the wallet either by using internet banking or through debit or credit card. Soon after adding the money customers can make transactions using their wallets. With SBI buddy app customers can even send money to people who are in contact list or to Facebook friends. Before dialing to SBI buddy toll free number, have a look at help and frequently asked questions with in the app where you can look for answers regarding your doubts and also feedback can be given. Certain requirements are proposed by State bank of India to use the wallet, first thing is the user must be an Indian citizen and should have completed 18 years of age. And the next thing is you need to have a valid mobile number and mobile device that can install and run SBI Buddy app. Depending on the type of operating system you can download State bank of India buddy app either from play store or apple store. After downloading, install it on the device and you can sign up for the wallet either by using mobile number or facebook. After successful login you need to set up a secret pin for accessing SBI buddy wallet, after this one time password received on mobile number must be entered in the app to complete registration successfully.SBI customers can dial to SBI buddy help line number if they face any problem during registration process. After adding money, Select send money option and enter receiver’s mobile number, amount, and description for the transaction. Finally submit the details to send money. The maximum amount that you can save in mobile wallet is Rs.10000. Further, if you have any questions regarding this app then make a call to SBI buddy customer service help line number which is mentioned below. dear sir, i'm using SBI BUDDY.& made a recharge worth rs.300 from my wallet but the amount was cut off from the wallet & the customer's acc. was not credited. pls update he customer. dear sir, i'm using SBI BUDDY.& made two transactions recharge worth rs.220,220 from my wallet but the amount was cut off from the wallet & the customer's acc. was not credited. pls update he customer.